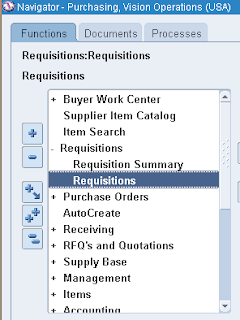 If you want to approve this requisition, then you should have required approval authority. 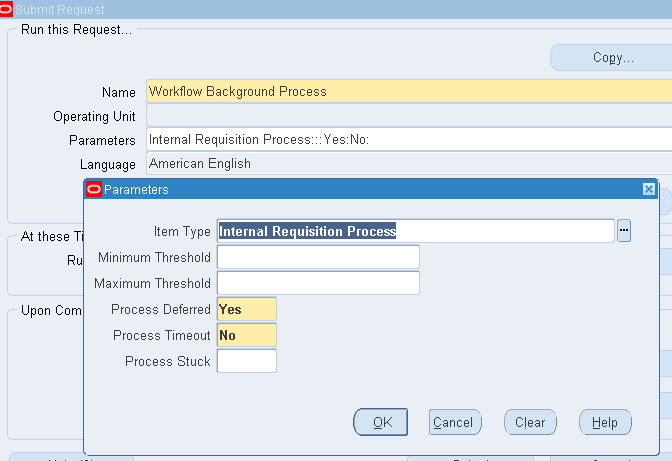 Then Click Ok and Submit. 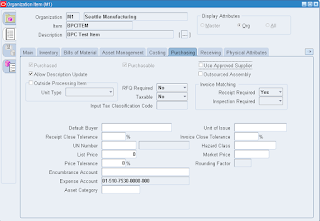 The IR cycle useful for more tracking, control (IR, SO), approvals and generating pick slips whereas Inter-Org transfer is a one step transaction, simple flow, more user friendly and no interfaces involved. 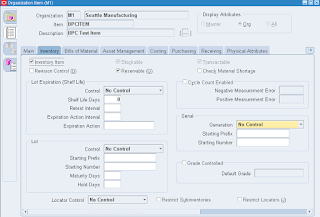 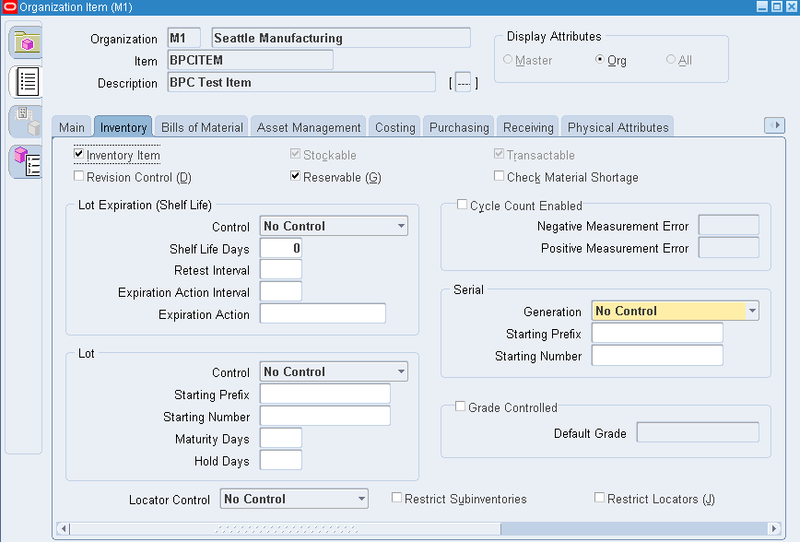 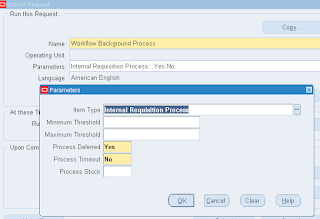 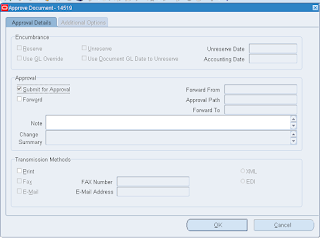 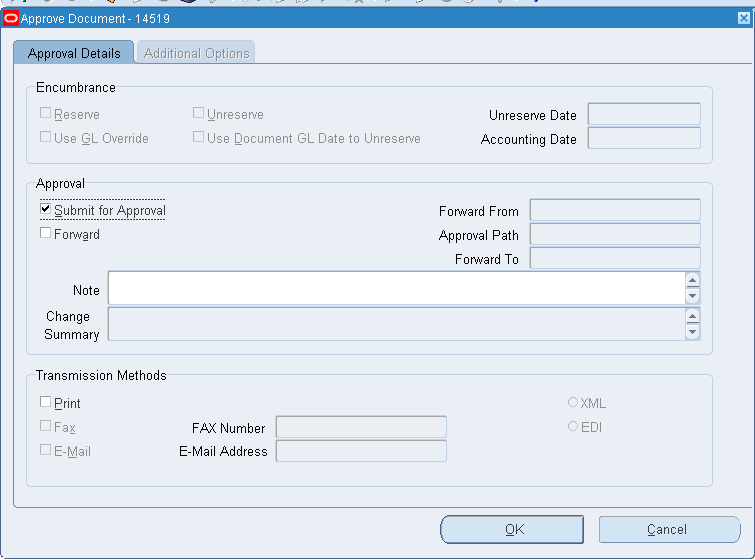 RMA is possible in Internal Sales Order whereas in Inter-Org transfer there is no functionality to Cancel, delete or Return or not receive an In-transit Shipment. 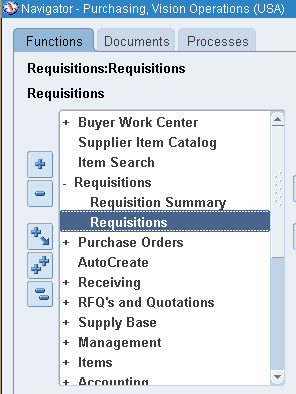 When Internal Sales Order and Internal Requisition will be picked up by Inter-Company invoicing process? 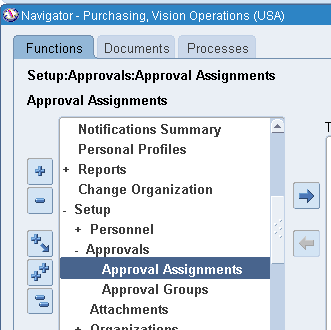 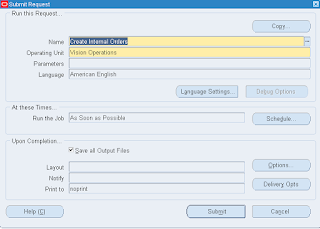 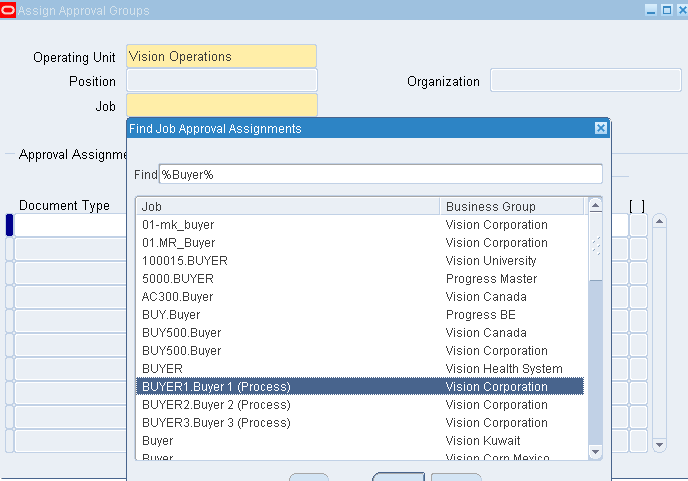 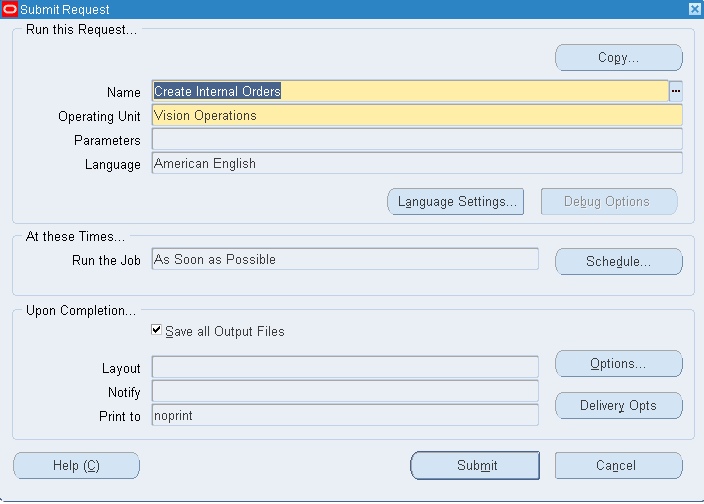 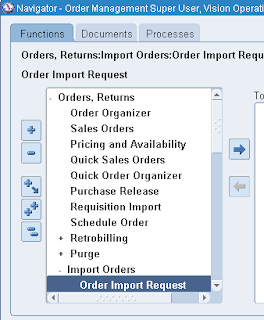 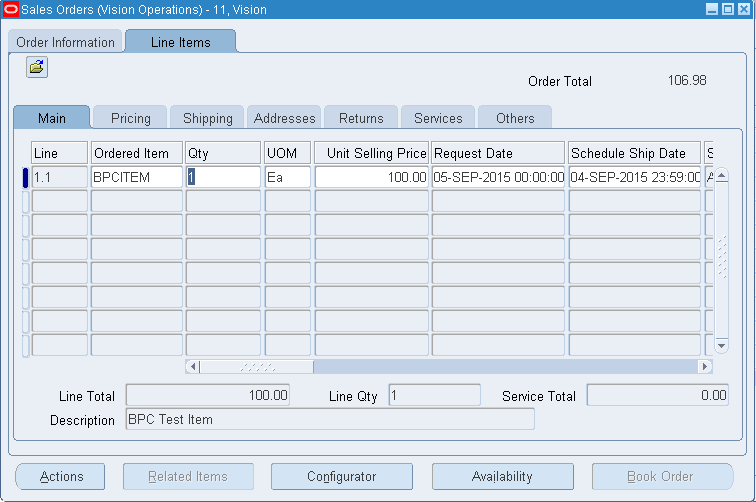 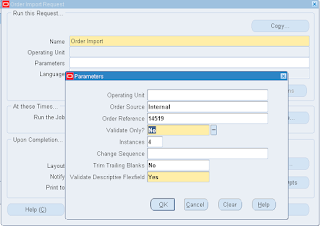 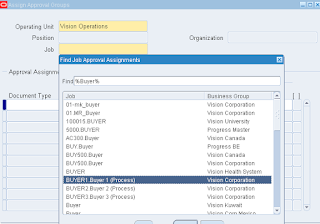 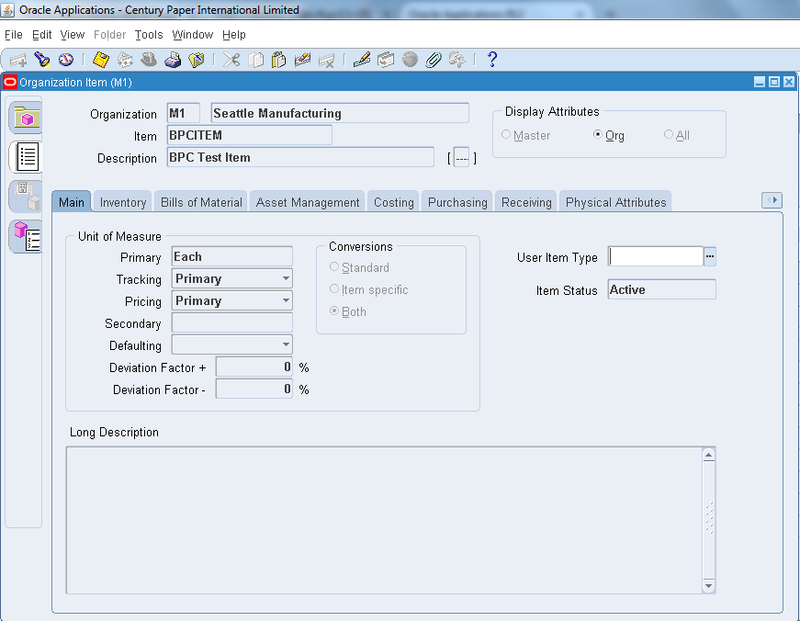 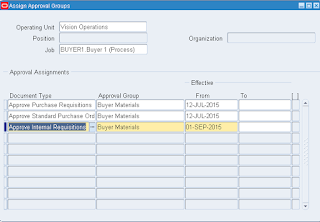 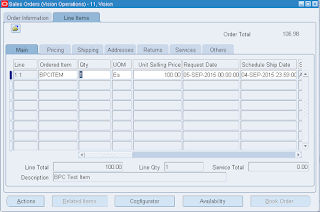 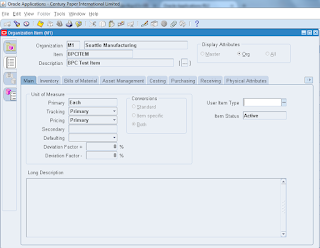 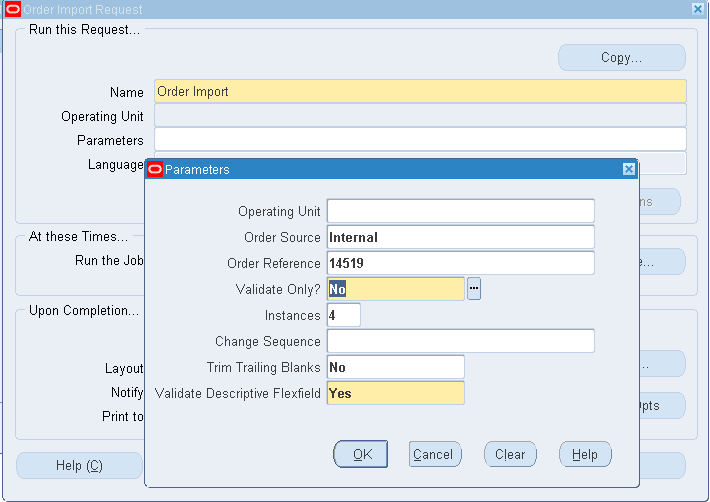 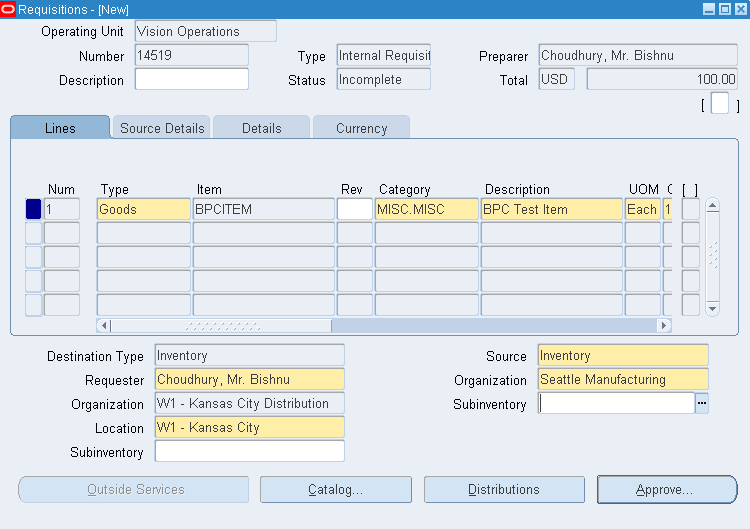 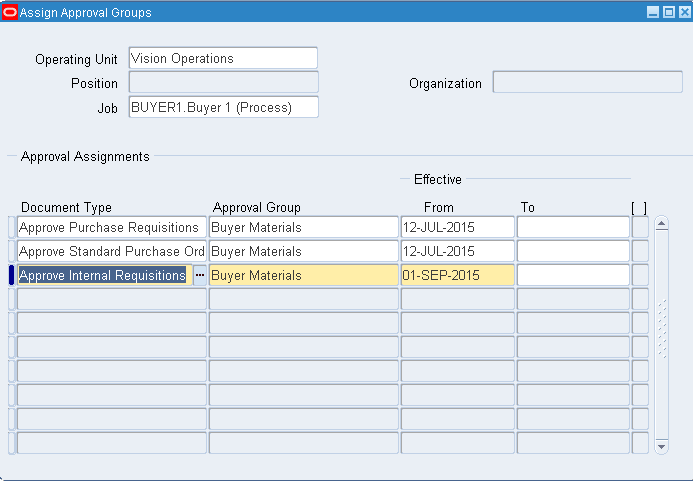 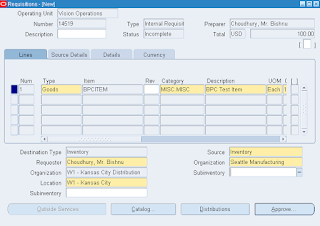 Profile Option INV:Intercompany Invoice for Internal Orders value is Yes on site level. 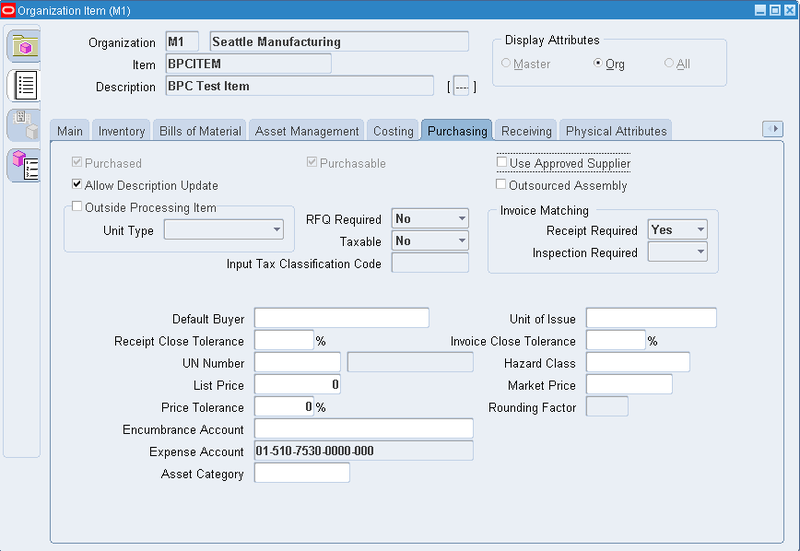 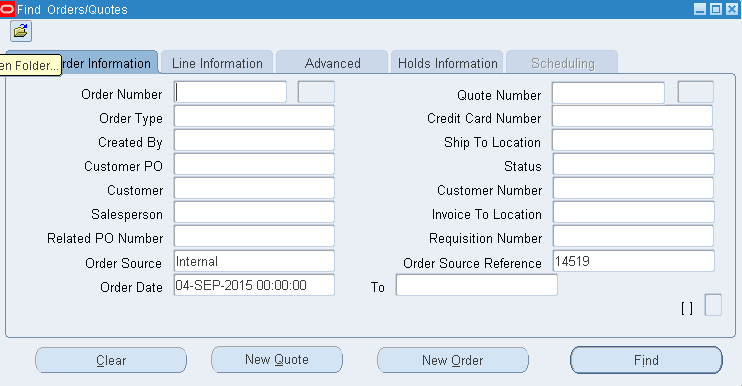 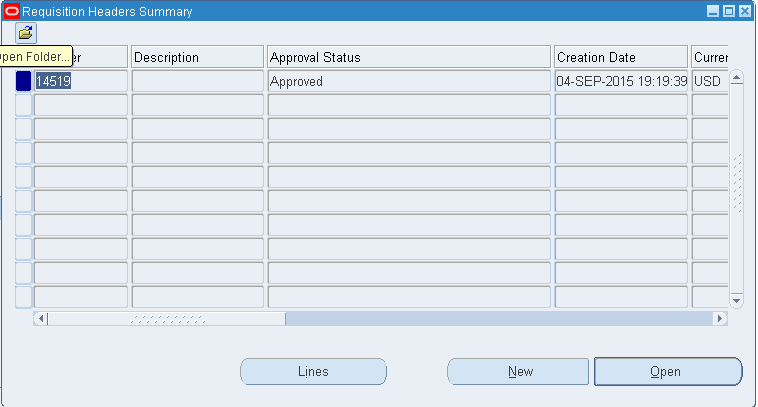 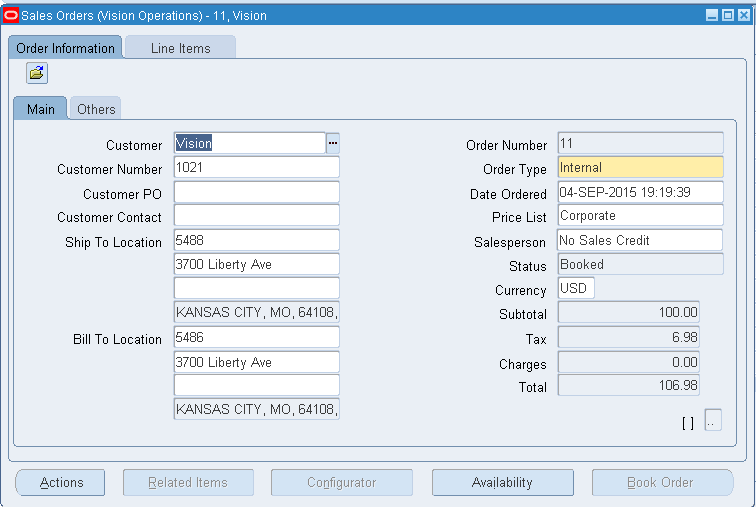 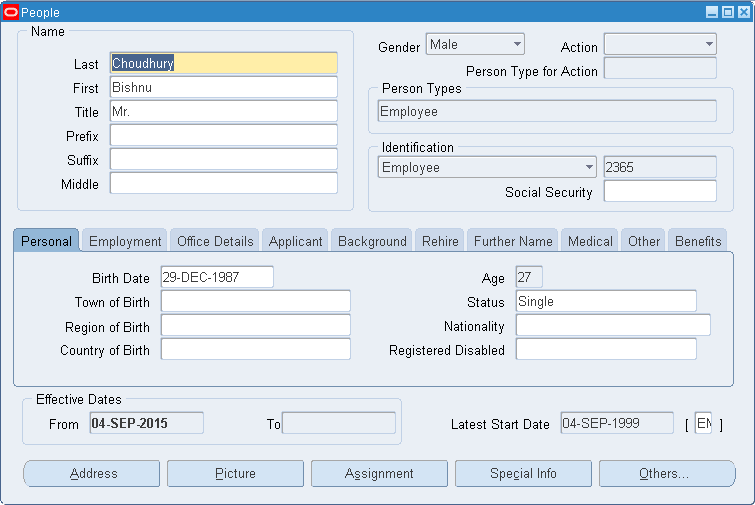 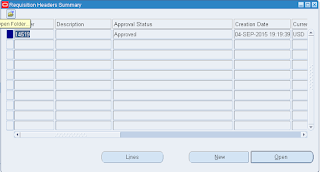 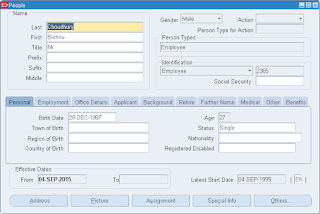 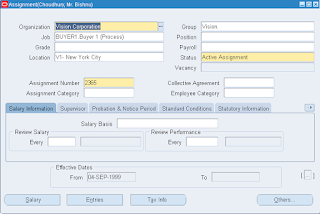 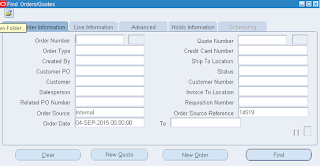 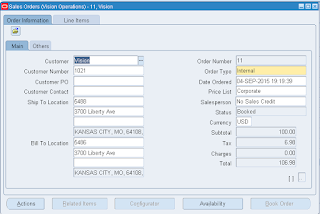 This will be used for creating Account Payable in the Intercompany Invoice process. 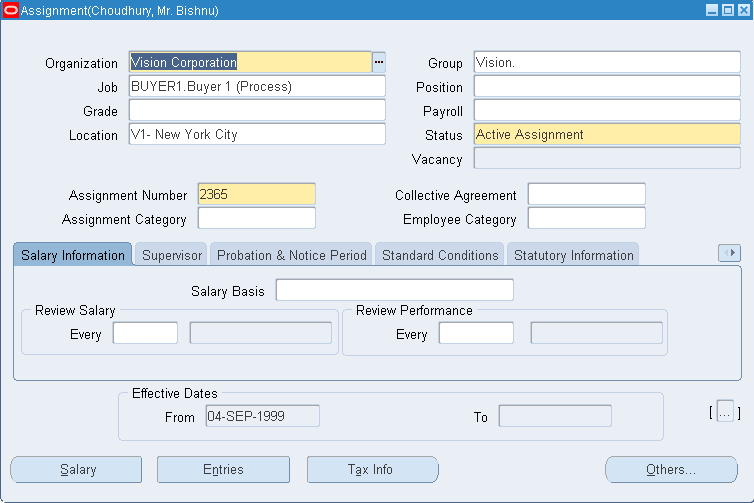 Note: Intercompany AP will be created irrespective of the IR received or not as per the standard functionality, INCIAP does not check for the same, it considers only INCIAR created or not.